A small overview of the modest system. 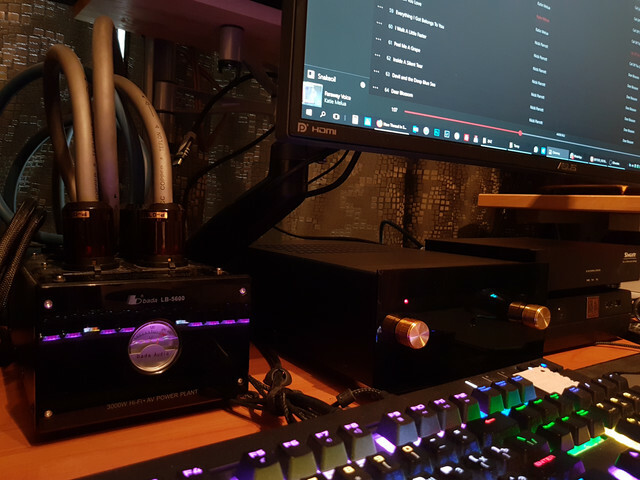 A small overview of the modest system on which I enjoy listening to music through snakeoil OS. I had the idea of ​​developing the most adapted system for my needs. The room is not very large, the voltage in the sockets is not stable, it was necessary to completely decouple from the interference of the home power network, I wanted to completely abandon the use of impulse power sources inside the system. Acoustics - 2-way, bass-reflex type with output on the front panel. Air Motion Tweeter from Mundorf, Ceramic Cone Midrange from Accuton. Total sensitivity - 89db. The acoustic housing has no parallel planes and is filled with Kevlar filler. Very durable construction. The sound is as neutral as possible. Amplifier - Audioinstrument Sirius Solo KT150 - Tube, single-ended, ultralinear output KT150 bulb, 16 watts of power. Very fast and accurate, yet versatile. Easy to cope with jazz and rock, may surprise intelligibility reefs on the metal in the complex parties are not dumped into the porridge. It is designed individually for the current acoustics, has an adjustment of the displacement of the output stages, is made on the highest quality components. 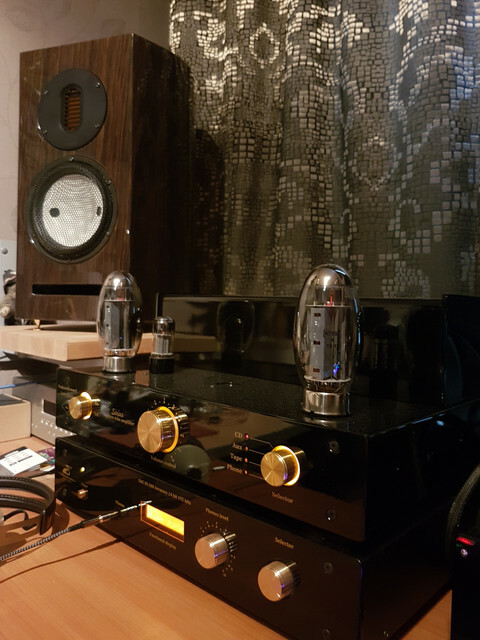 DAC - Audioinstrument DAC DI-200 Accuracy - built on the basis of Sabra 9028, has a tube output stage with separate transformers. As a customization, a headphone amplifier was added. As a repository of music, the QNAP NAS is used, accessed through fiber optics. Power supply: Author's linear power supply of ATX standard with additional parametric outputs for additional power supply of Singxer SU - 1 USB-SPdif Converter and network media Converter (Optical to Ethernet). I must say that in the beginning, I was somewhat distrustful about the capabilities of Snakeoil, as I already heard quite a lot of Linux-based assemblies. Everywhere I found the emphasis of digital distortion and got tired of sounding pretty quickly. The main system I had was the implementation of OS / 2 - ArcaOS, which is still for me a reference in sound but not so convenient in everyday operation. After several attempts to adjust the sound of Snakeoil, I found the right keys with which the sound as close as possible to the desired one. The main thing was turning off the local APIC, which at once solved a lot of problems. And the main thing aligned the upper frequencies, the voice became as close to human :-) and the sound scene ceased to change in the process of composition. Good choice on Yarbo. The best system I have heard uses the 9000... Can't source it cheaply for my system though. (18-Feb-2018, 11:34 PM) Mikola1980 Wrote: The main thing was turning off the local APIC, which at once solved a lot of problems. And the main thing aligned the upper frequencies, the voice became as close to human :-) and the sound scene ceased to change in the process of composition. If memory servies that is the setting that will disable virtual IRQs. And that is a revelation. Funnily enough some motherboards will not boot with this setting, and it's the reason why virtual IRQs are enabled by default. Your English is fine.. And it's better than mine . (19-Feb-2018, 07:52 AM) agent_kith Wrote: Are those DIY speakers? (19-Feb-2018, 07:52 AM) agent_kith Wrote: Good choice on Yarbo. The best system I have heard uses the 9000... Can't source it cheaply for my system though. 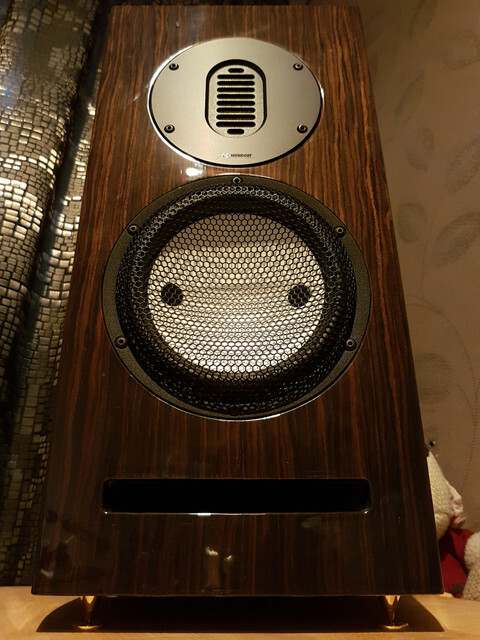 I have a simpler version of the YARBO SP-1100PW, but in comparison, even with very expensive cables, this option is not bad either on the amplifier or on the power supply. It is for this reason that I chose a very simple motherboard from Intel with an Atom processor. For any tasks related to sound enough for even one core? no need to think about cooling and power consumption, fast and reliable network controller, the ability to use different Wi-Fi cards, it's a pity there is no way to install m-sata SSD in mini-pcie slots. P.S. By the way I'm waiting for instructions on loading Snakeoil through PXE! I want to try to get rid of one more device - SSD. 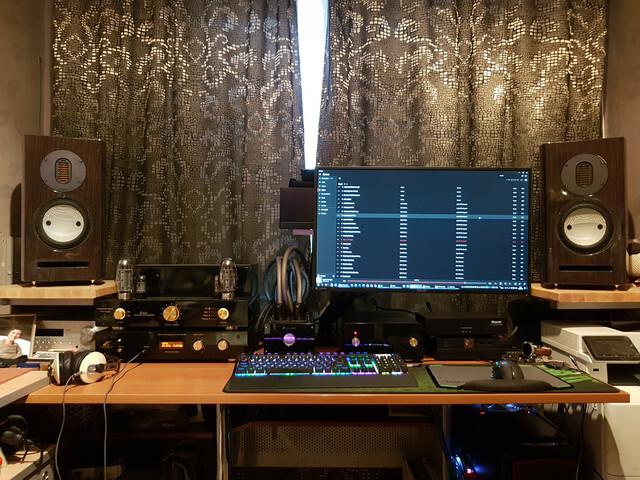 Your setup is awesome, Mikola. Looks like a very cozy place to enjoy music in. Do you have a nice view from that window? That would be nice too.